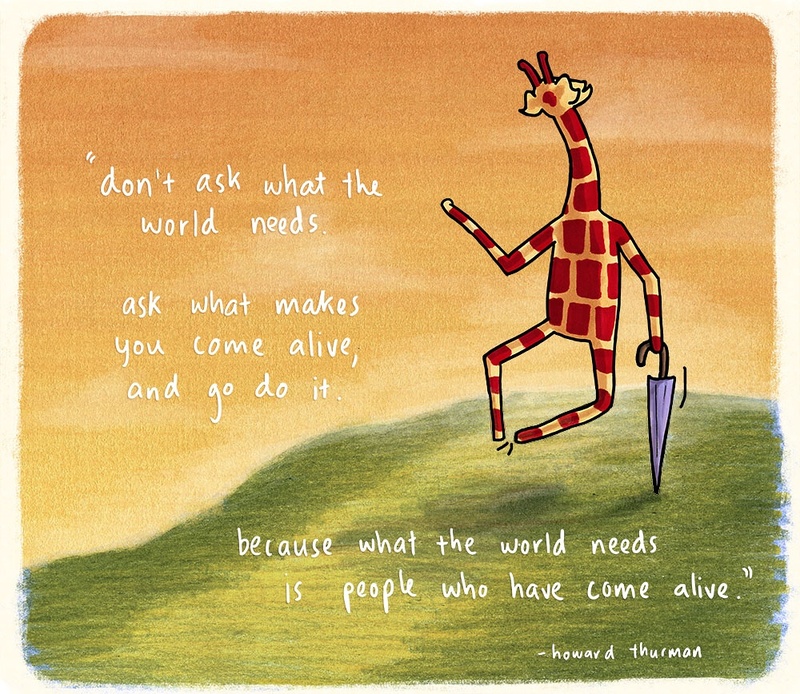 HomeApril 7, 2015 – Motivating Giraffe turns 1! 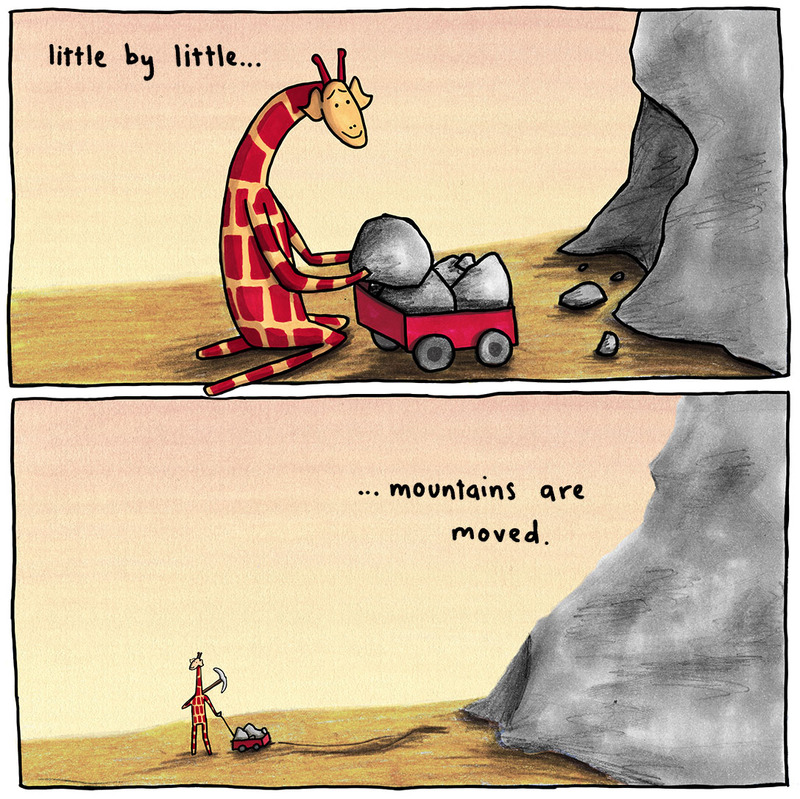 April 7, 2015 – Motivating Giraffe turns 1! 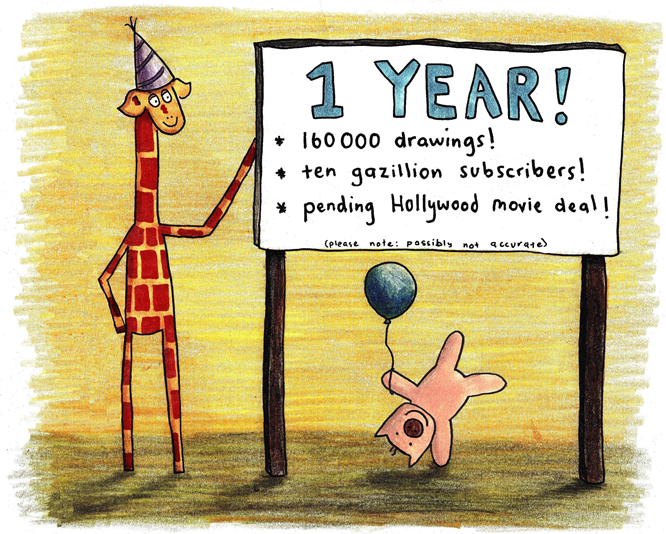 Exactly a year ago, I posted my first giraffe onto my own Facebook page. I was stressed and tired in my life and thought I’d start drawing as a fun new hobby. 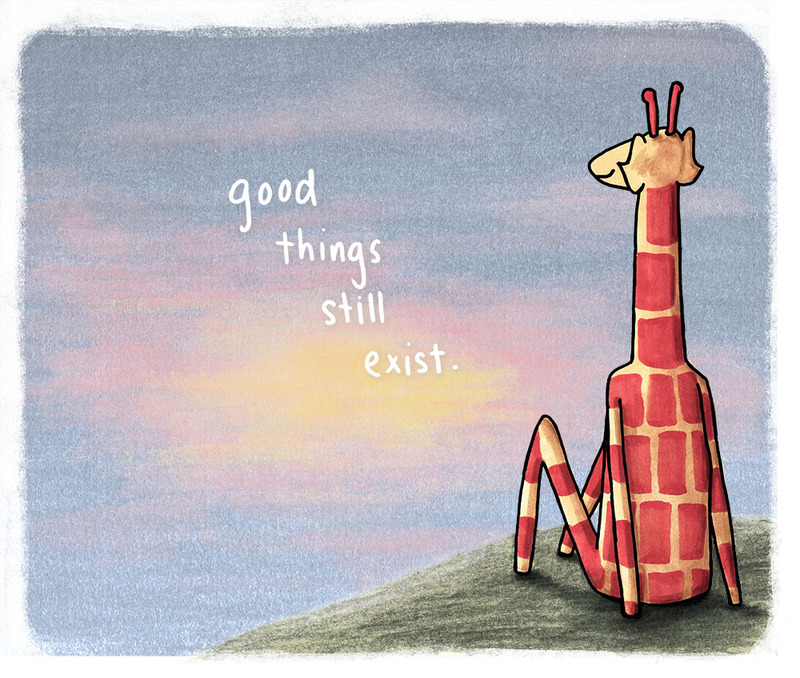 Looking back, it was the saddest looking drawing ever but it was fun and it made me smile. So I drew another one. Then I drew a few more. What a crazy year it has been since then. 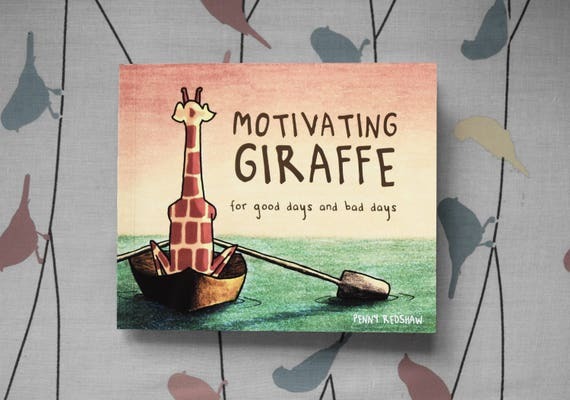 I don’t know the real stats of Motivating Giraffe but I know I never, ever expected or believed that anything like this could ever come out of a silly idea I had on a random Monday afternoon. 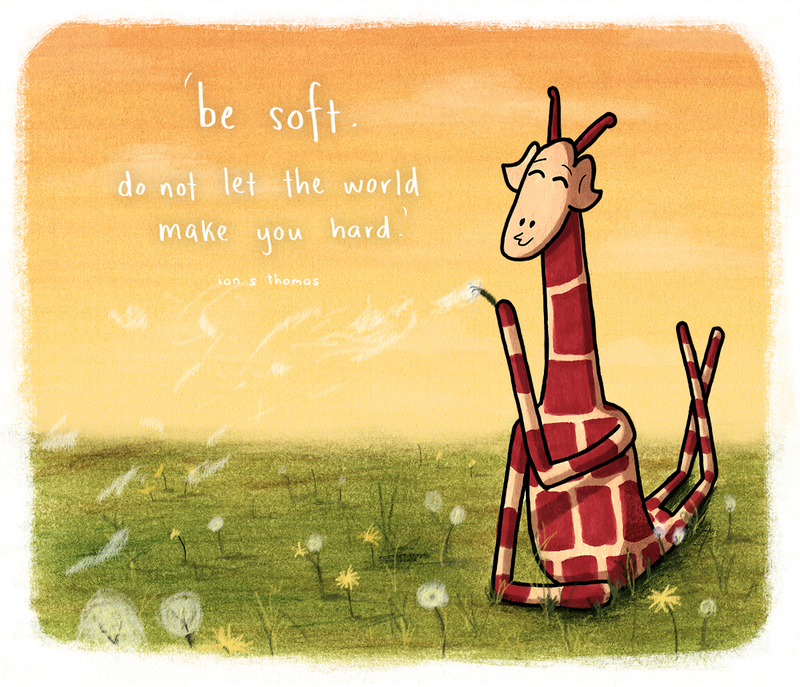 So a huge thank you goes out to my friends/family who have liked these silly giraffes from the beginning (you know who you are), and all of the fellow motivation-lovers that I have met on both the internet and in real life along the way. I love you all of you guys and dearly appreciate your support. 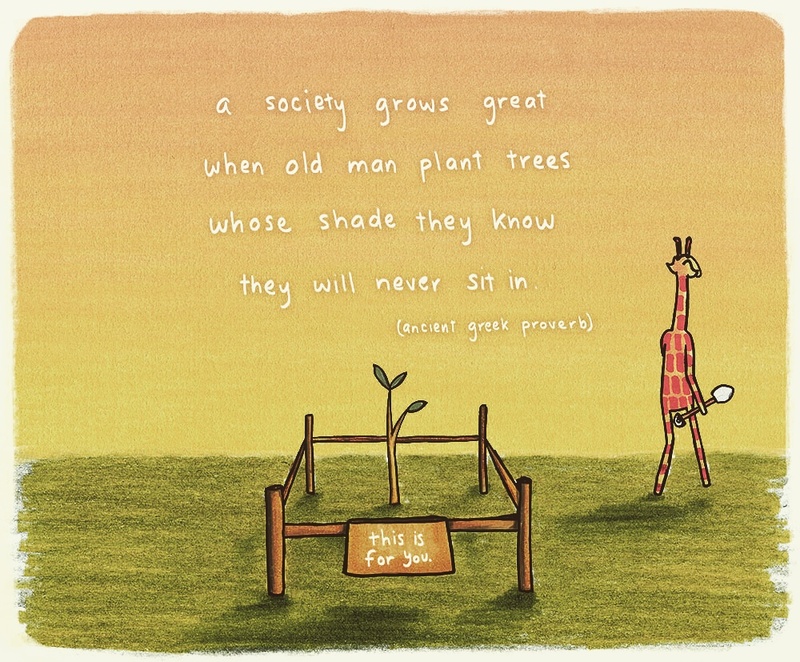 This is wonderful Penny, I love this drawing, it says it all! Congratulations on your mega achievement. Thank you for the motivation and inspiration. 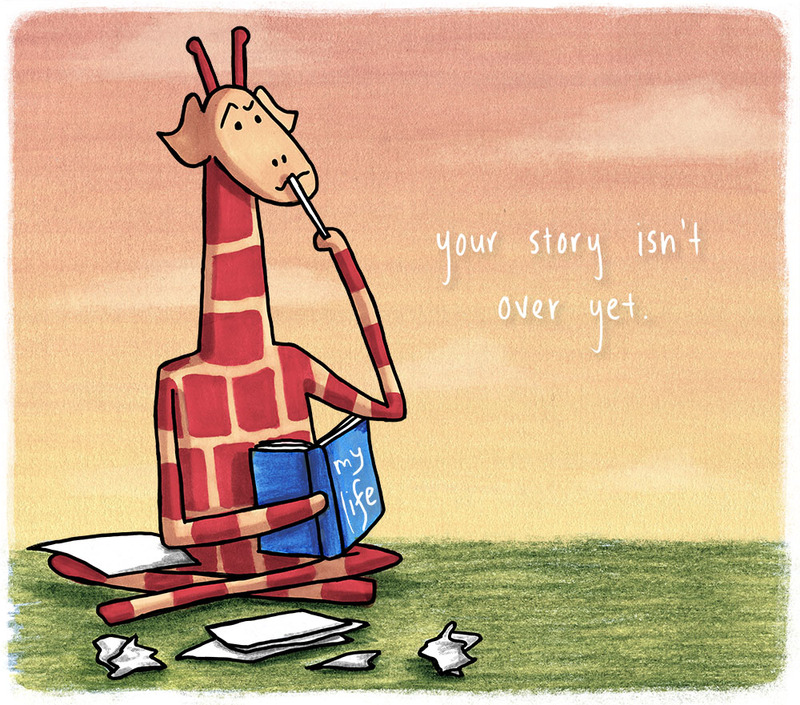 That is sort of how my first Lil’ n Moo cartoon came about and now I am addicted to drawing them just like you and your gorgeous Giraffe. So motivational too. Fab. I have never done anything other than blog mine or make stuff for my daughter but your book looks great. Looks the kind of thing my local bookshop sells.